The new Milwaukee Instruments MW102 pH meter takes the place of the SM102 for testing drinking water, aquarium water and hydroponics pH levels. 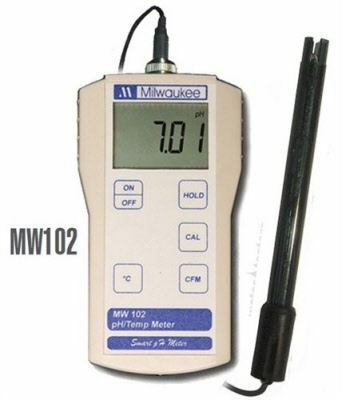 Milwaukee’s MW102 performs pH, measurements ranging from 0.00 to 14.00pH, and Temperature measurements, ranging from 0 to 70 °C. The Milwaukee MW102 also includes Automatic Calibration and Temperature Compensation.